When prospective divorce clients call in my Tampa office and ask whether both spouses can attend a consultation, they are often relieved to learn that I am willing to meet with both spouses. I did not always have this policy. In fact, most Florida divorce attorneys refuse to allow both parties to attend a consultation together. There is a strict prohibition against an attorney representing both parties to a divorce, and most lawyers want to avoid even the appearance of representing both spouses. And I, like other attorneys, cannot represent both spouses. But what I can do is invite divorcing spouses into my office and discuss with them the available process options. Of course, I will talk with them about traditional litigation, which is the court battle that often comes to mind when people think about divorce. 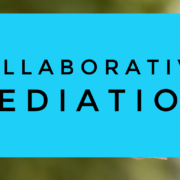 I will bring up mediation, which is a great form of alternative dispute resolution that allows parties to come to an agreement, but which leaves open the door for their mediation attorneys to engage in detrimental litigation if a full settlement is not reached. And I will talk about collaborative divorce, which is a voluntary, private process in which the parties and their attorneys agree from the very beginning that they do not want to engage in nasty, public court fights. In fact, the spouses, who each will have their own individual attorney, sign a participation agreement that states that their attorneys must withdraw if the parties cannot come to an agreement. Collaborative divorce has a success rate of nearly 90%, so this withdrawal clause hardly ever comes into play, but it allows clients to be open in negotiations without worrying that their spouse’s attorney is keeping an ear open for opposition research to use in trial later on. A collaborative facilitator, similar to a mediator, is engaged to ensure that the spouses remain respectful and mindful of their interests, such as ensuring that the transition of divorce has the least negative impact on their children. Oftentimes, a neutral financial professional is retained to ensure that each spouse has a full understanding of the assets and liabilities that need to be divided, to help the spouses budget for two households, to value business and other items to be distributed, and to develop creative and personally-tailored options for spousal and child support. When I know that both spouses will come to the consultation, I will oftentimes invite another collaborative attorney (who is independent, works for a different law firm, and with whom I have no financial relationship) to join us. This way, if one spouse is comfortable with me and the other spouse is happy with the other attorney, we can begin the collaborative process immediately. Of course, each spouse has the right to select the attorney of their choice, and either can always go to www.NextGenerationDivorce.com to find other collaborative attorneys in Hillsborough, Pinellas, Pasco, Sarasota, or Manatee Counties. If both spouses want to come to a consultation together, there is a good chance that the collaborative process is the best option for them, as they likely want to remain open, honest, transparent, and respectful, but they also probably want a private option that will cater to the specific needs of their family. If you and your spouse want to come together to a consultation to learn about Tampa Bay collaborative divorce and other options, contact The Law Firm of Adam B. Cordover, P.A. at (813) 443-0615 or fill out our online form. If both spouses plan on attending, please let us know beforehand.